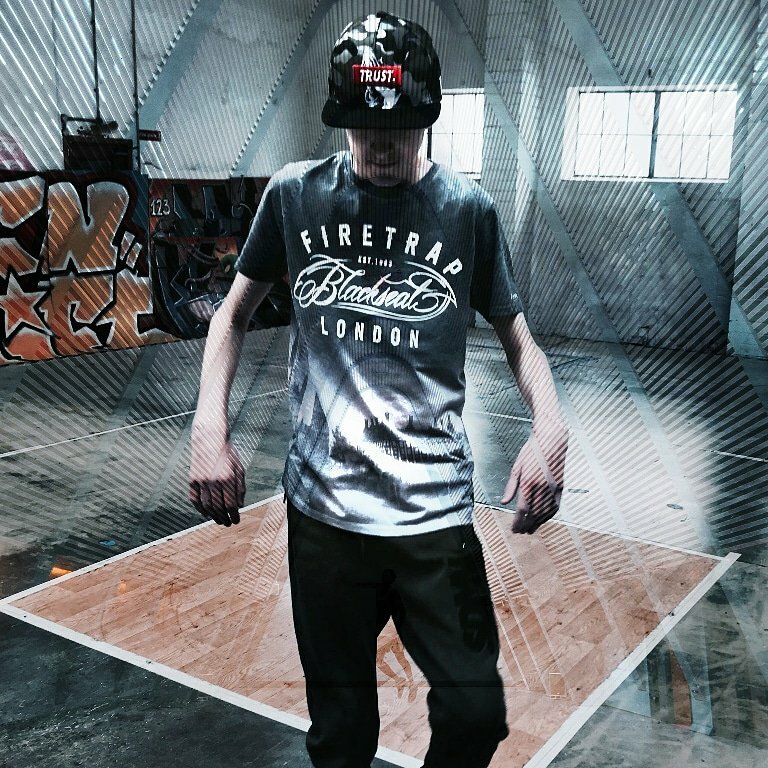 The latest in my ‘spotlight’ series focuses on fourteen year old Ollie Venning, better known as street dancer Ollie V. The struggles he’s faced will be all too familiar to autistic people, their friends and families, but with love, patience and no small amount of bravery on his part, he’s transformed himself into a genuine force for good, using his talent for hip hop dancing to spread a message of hope, acceptance and perseverance against the odds. 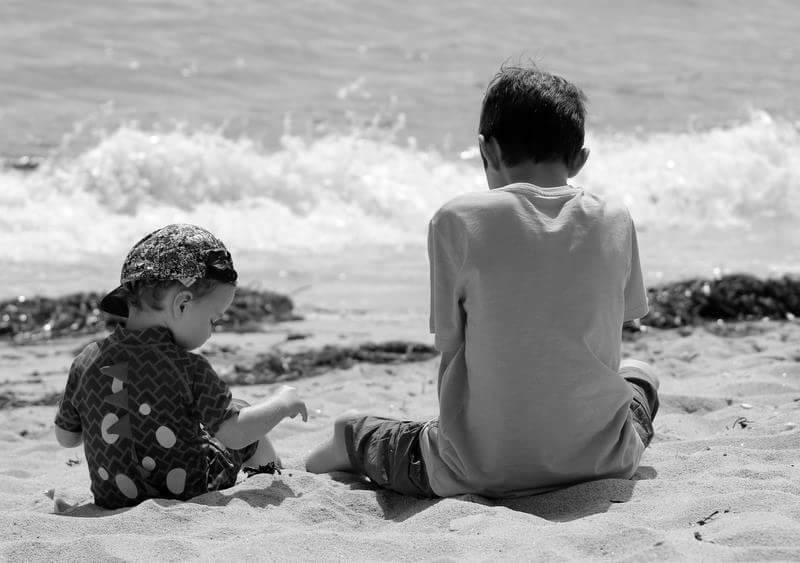 Ollie lives with his family in Devon – including his five year old brother Alfie and two year old sister Izzy – and is the only member on the spectrum. 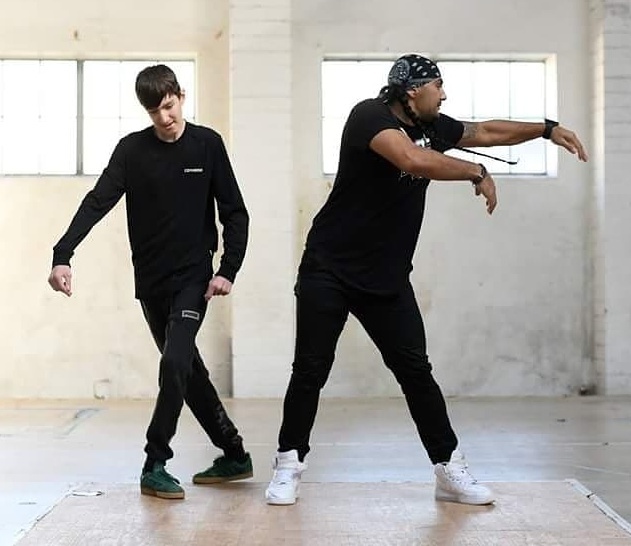 His mum Emma remembers how he started showing a strong interest in street dance at around four years old, regularly watching videos of Britain’s Got Talent winners Diversity performing their amazing routines, and doing his best to copy their moves. She went on to explain that he was diagnosed with ASD at the age of five, and later at twelve was also diagnosed with ADHD. Ollie was a happy, fun-loving boy who took part in lots of activities, but after the transition to secondary school, sadly things began to change. Like so many young people on the spectrum, Ollie didn’t receive the support he needed once he started upper school, and was mercilessly bullied for being different. Every day he would be laughed at and called a freak and a failure, and eventually he began to refer to himself in the same way, which was heart-breaking for his family to hear. He was desperate for friends – to be understood and accepted for who he was – but instead he was mocked and ridiculed, and would come home from school covered in negative comments he’d written all over his body describing how much he hated life and just wanted to make it stop. Emma describes her devastation as she watched him withdraw further and further inside himself, to the point where he stopped his out-of-school activities and even refused to interact with his family, choosing instead to spend time alone in his bedroom. Naturally his parents were desperately worried, but try as they might, they couldn’t find anything to bring back Ollie’s sparkle. They began to feel increasingly helpless and feared they were losing him as they watched the bullying continue to drain what was left of his shattered confidence. Everything seemed hopeless, but Ollie still had his passion for dance, and after meeting a quite remarkable couple called Jo and Toby Gorniak he began to take it more seriously, and slowly things started to improve. Toby Gorniak (known as Toby G) and his wife Jo run an organisation called Street Factory in Plymouth which works with children and young people whose self-image, for a whole variety of different reasons, is very low. They say their mission is to help individuals look past the labels society has put on them and ‘find their genius’, which naturally intrigued me and made me want to know more. 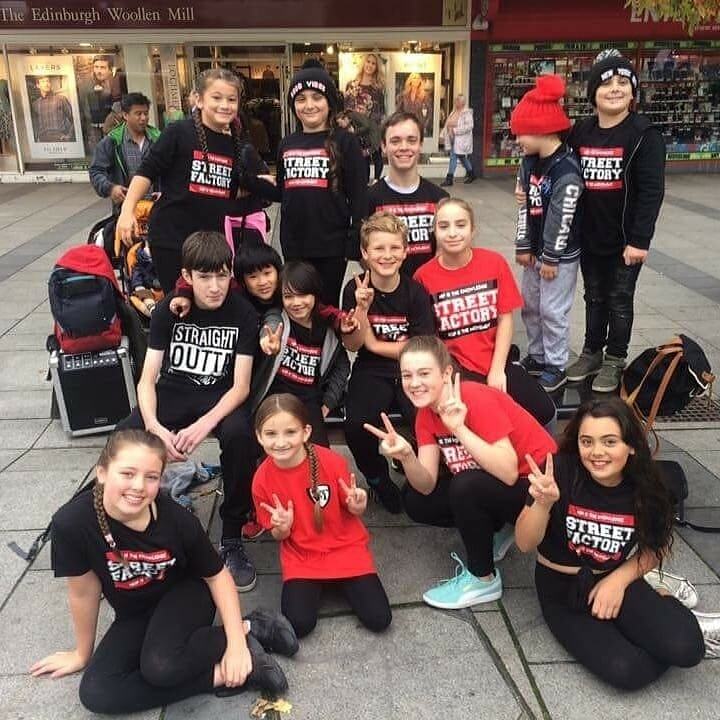 I’ve done a lot of research into their work, and what makes them really stand out is that not only do they run their dance company by the five principals of ‘respect, peace, love, unity and having fun’ but they absolutely walk the walk and live their lives exactly the same way. As a result, Street Factory provides a safe, non-judgemental environment where young people are nurtured and accepted, allowing them to work on the most important thing of all: self-acceptance. One thing I found particularly inspiring is the way everyone who attends is encouraged to take what they’ve learned from the group and give it back to their community. Whatever they choose to do in their lives, the skills they’ve learned – patience, friendship, support, empathy and so on – can be carried forward to help make their lives, and the lives of those around them, just that little bit better. It’s no surprise to me that Toby (seen here dancing with Ollie) was awarded an MBE in the 2018 New Year’s Honours list for his incredible work with young people. So, it’s no exaggeration to say that when Ollie met Toby it completely transformed his life. Toby was extremely patient and understanding of Ollie’s needs, and slowly gained his trust using one-to-one sessions until he felt strong enough to move forward and dance as part of the group. He’s now a fully-fledged crew member and his confidence continues to grow every day. 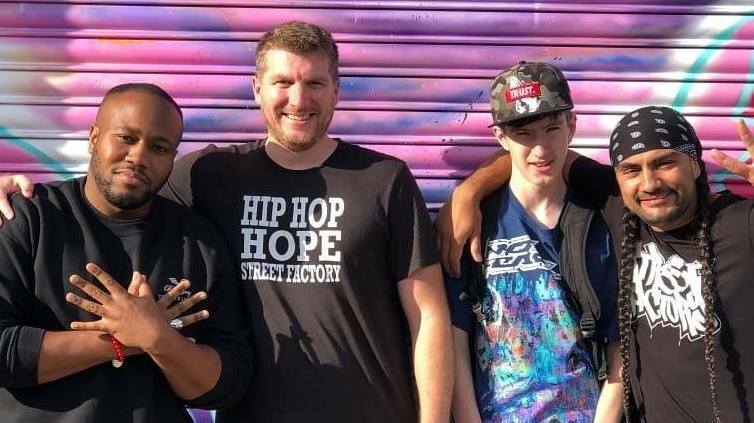 The support and acceptance Ollie has found at Street Factory has given him hope for the future and allowed him to achieve some quite remarkable things. He’s grown from a boy who was afraid to dance in front of anyone for fear of being laughed at, to someone who dances in small groups and even solos, and actually enjoys the buzz he gets from having an audience. highlighting his journey from being a victim of bullying to a confident, resilient young man who can write his own story. 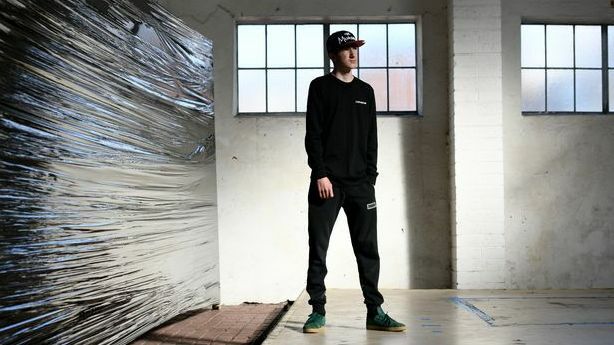 His mum describes this as a major turning point for Ollie, when he took things to a whole new level and performed it for the Arts Council England. 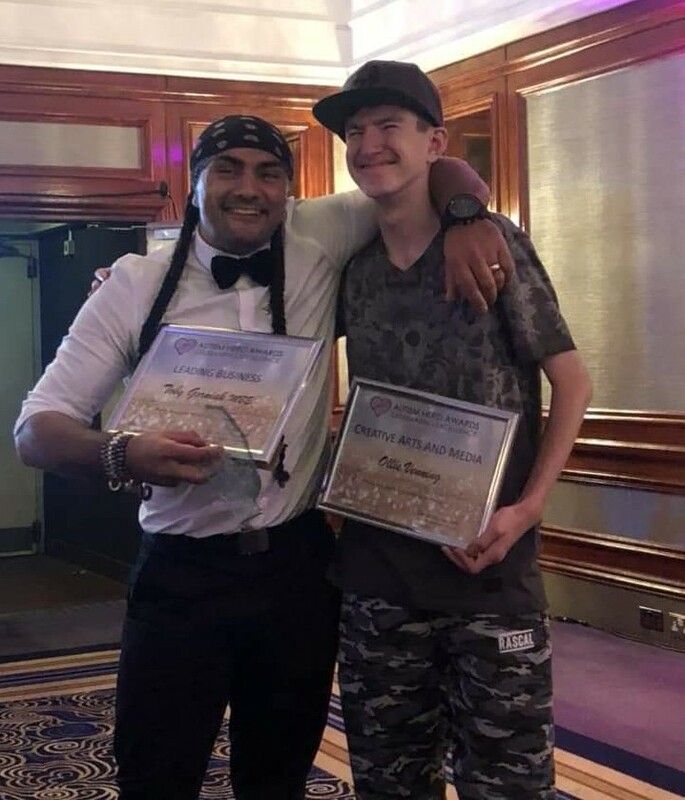 Both Ollie and Toby were recently honoured at the Autism Hero Awards 2018 where they met Anna Kennedy, and Antony Costa from Blue. Toby won the Business Award and Ollie was given an Outstanding Achievement Award in the Creative Arts and Media category. As you can see from their smiles, they were delighted. Now that Ollie’s discovered his inner power, he has an important message to pass on to other people who might be struggling like he did. He wants to help inspire people to believe in themselves, and to understand that they have the ability to make things happen regardless of whether society sees them as disabled or not. His advice is to never give up, and to know that it’s okay to have bad days as long as you pick yourself up and carry on, because with dedication and perseverance your own unique talent will eventually shine through. I’m certainly inspired by his story, as I’m sure you are too, so I’ve saved the last word for someone else whose love and hard work has enabled Ollie to become the wonderful person he is today: Emma.